Breathtaking waterfront, a picturesque boardwalk and heights of San Francisco's own mountain set the unique and versatile atmosphere of the area. Spinlister is the world leader in peer-to-peer bike, surf, and snow rentals with users from over 100 countries. Learn how Spinlister can make you extra cash to list your land, sea, or snow gear for rent. The SOMA district and southeastern San Francisco are a patchwork area of art places, interesting restaurants, and eclectic blend of international cuisine, restaurants, and bars. The south and east of San Francisco are mostly residential areas, with a couple of astounding natural highlights and constantly developing buildings. As a residential area in uprising, it will certainly show potential in the next few years. Nonetheless, it has a certain artistic charm that a visitor can’t find anywhere but here. In addition to being known for having a mellow and chill atmosphere, this area gives you the opportunity to enjoy cultural amenities and sporting events that make San Francisco well known. This artistic area has a number of museums all of which provide you with different things to see and experience. One of the most famous ones is the San Francisco Museum of Modern Art, a five floor museum that often displays artwork of popular artists from San Francisco, as well as from around the world. There is also the Cartoon Art Museum, which is a perfect art space for all generations, dedicated to cartoons in every form. The Contemporary Jewish Museum offers something completely different and is dedicated to the culture and history of Jewish people. Once you get to pedaling down this area, make sure to stop by a museum that interests you, because it’s worthwhile. The east area has an appealing downtown vibe, although most of the fun events and heavy traffic is found around the AT&T Park, home to San Francisco Giants. 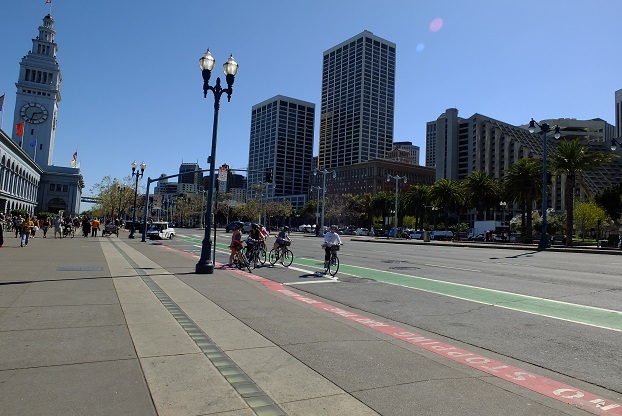 Let’s not forget the Embarcadero, where bicycle trails start from the home of the Giants and lead the visitors to divine waterfront views. However, what really captures the attention of both locals and tourists is McLaren Park, the second largest park of the city. This gem, apart from its natural beauty, offers legal mountain biking for all adventurous cyclists who like to venture out in the wild on their off-road bikes. 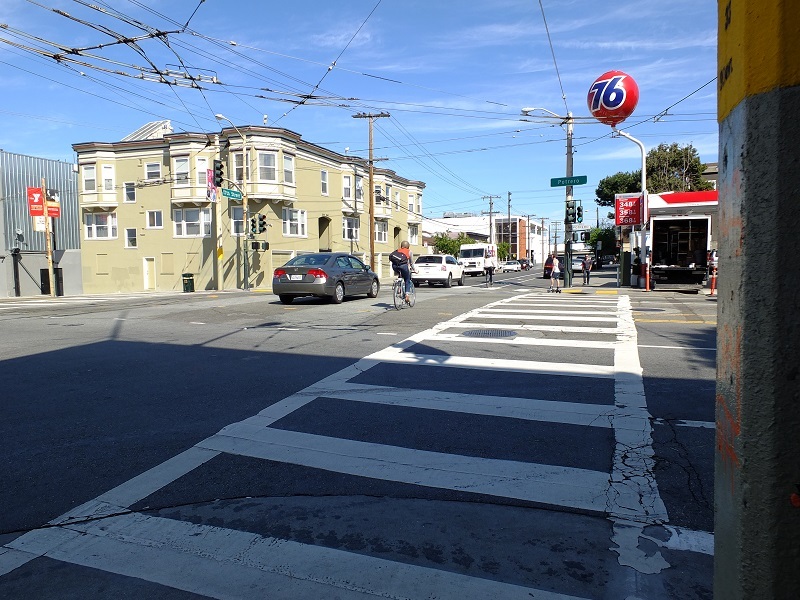 The route starts at Howard Street, and goes all the way to the intersection with Van Ness Ave. Take a right and keep going until your reach the famous Fell Street. Then take a left. 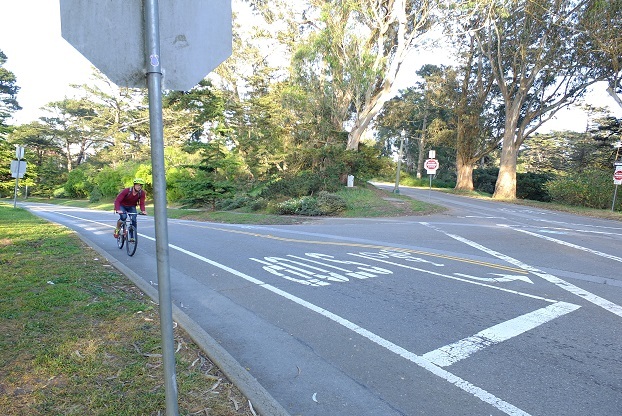 Ride past the Panhandle Park and enter the Golden Gate Park at the place where Fell Street meets Stanyan Street. Take the Nancy Pelosi Drive in the Park and follow it until you reach Martin Luther King Jr Drive. Continue down Martin Luther King Jr Dr until you reach Stow Lake, where you will make a semi loop around it taking the turn to Stow Lake Drive. Take a left to John F Kennedy Drive and another left into Transverse Drive, which will take you back to Martin Luther King Jr Drive once you turn right. The ride continues smoothly all the way to the end of the park and Great Highway, which is where the Ocean beach is located. The elevation varies along the route, so you have a few big ascents and descents to conquer. 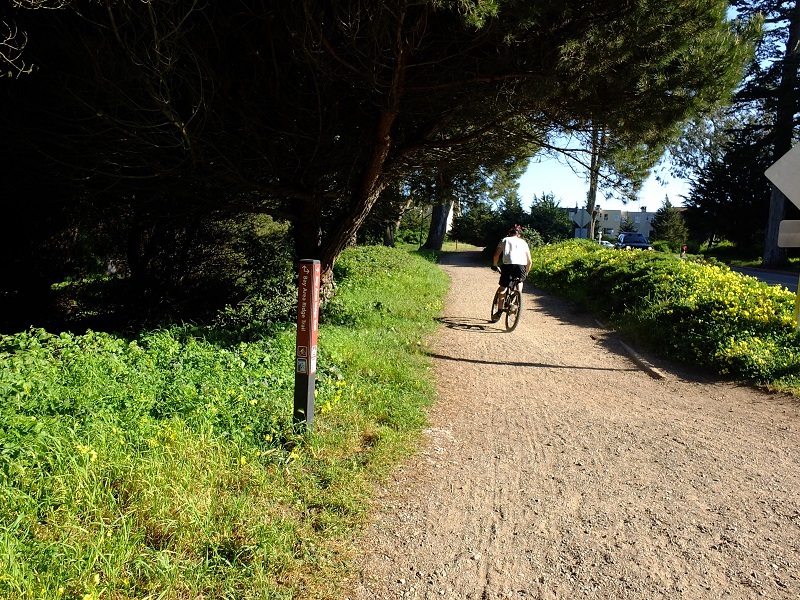 The highest elevation is at Fell Street, while the descents begin at Transverse Drive and continue all the way to Ocean Beach. 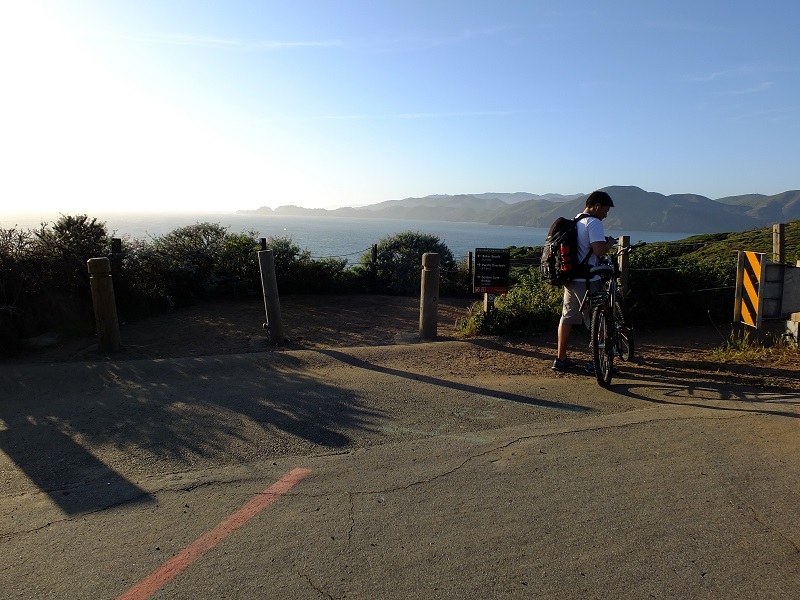 Although the trail can be a little challenging, tourists regard it as one of the most pleasurable rides in San Francisco. Since this is a crosstown route that connects several neighborhoods, the weather can vary, so it’s best to pack extra clothes just in case. Beside the elevation and weather, this route is a perfect 9-mile long path that covers everything a tourist needs to see. 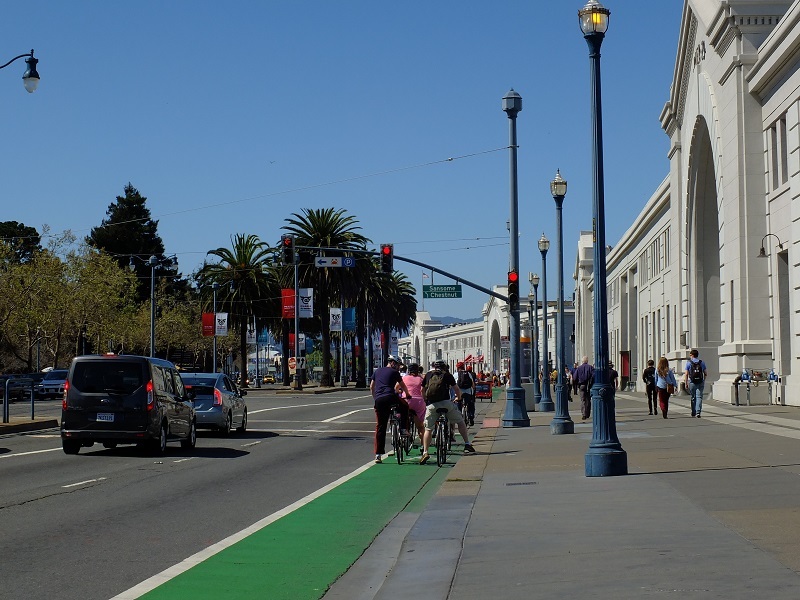 Since this route connects the Embarcadero with downtown, Panhandle, Golden Gate Park and the Ocean, you have plenty of sights to see without ever stopping and leaving your bike. Do you want to witness the action of downtown? You got it. Need to take a break from busy streets? You got it! Want to enjoy the soothing sound of Golden Gate waterfalls or lush Eucalyptus trees of the Panhandle. No problem! 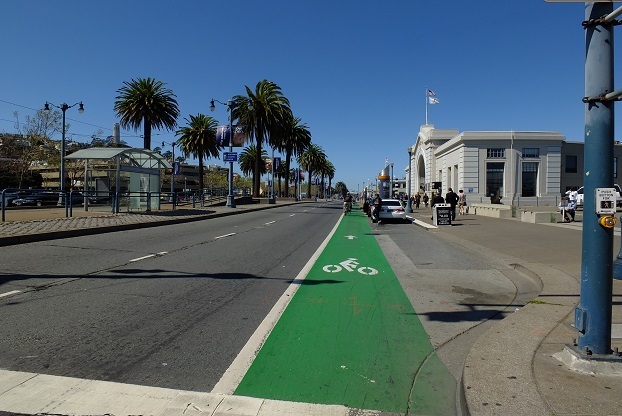 This popular route starts at the Ferry Building in San Francisco and from there on it has seven stops - Fort Mason Green, Scenic Overlook at Lincoln Boulevard and Washington Boulevard in Presidio, the Legion of Honor, Clement and 43rd Street, Ocean Beach, Panhandle and Bender’s Bar and Grill. Since this ride has been organized regularly every week for quite some time, you can get specific directions from the guide of the tour, or just follow the rest of the group that has joined to take this route. 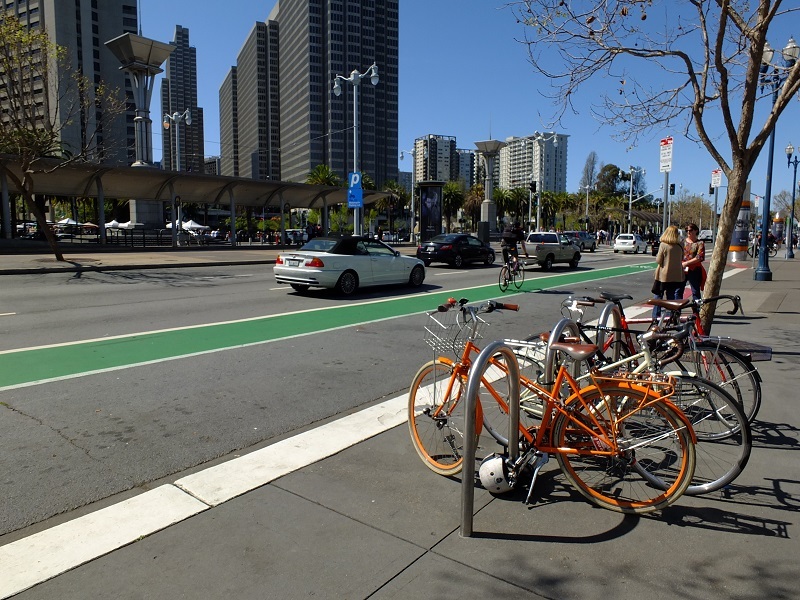 This ride is organized and supported by the San Francisco Bike Coalition and it starts every Wednesday at 7 pm. The group usually consists of 10-15 people who bike their way through the city together. 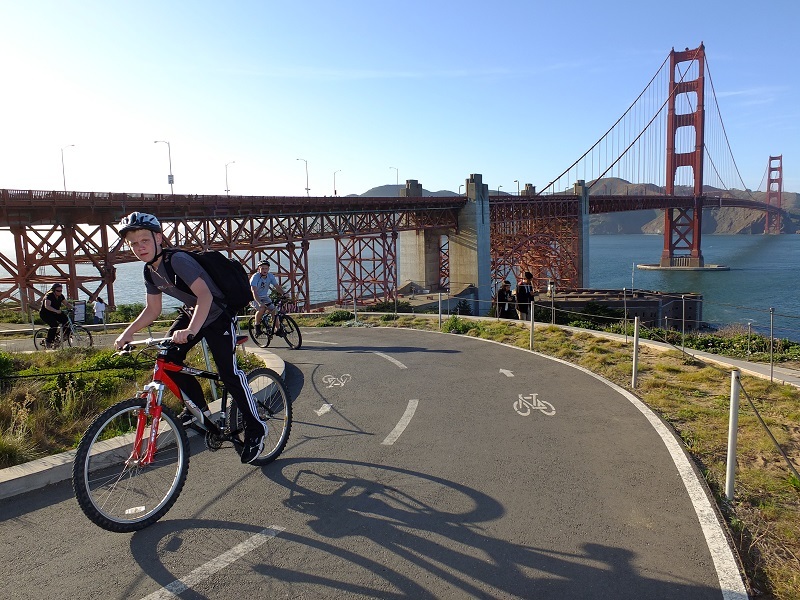 There are plenty of stops to rest and enjoy the scenery and see some of the most famous attractions of San Francisco, like the Golden Gate Park, Panhandle Park, Ocean Beach, Land’s End and the Presidio Park. With such a variety of neighborhoods embodied into the route, the ride is absolutely gorgeous and you get a better feel for what the city has to offer. This route is great for tourists who want to see many San Francisco attractions. However, it is quite the workout. There are two major climbs and three major descents. 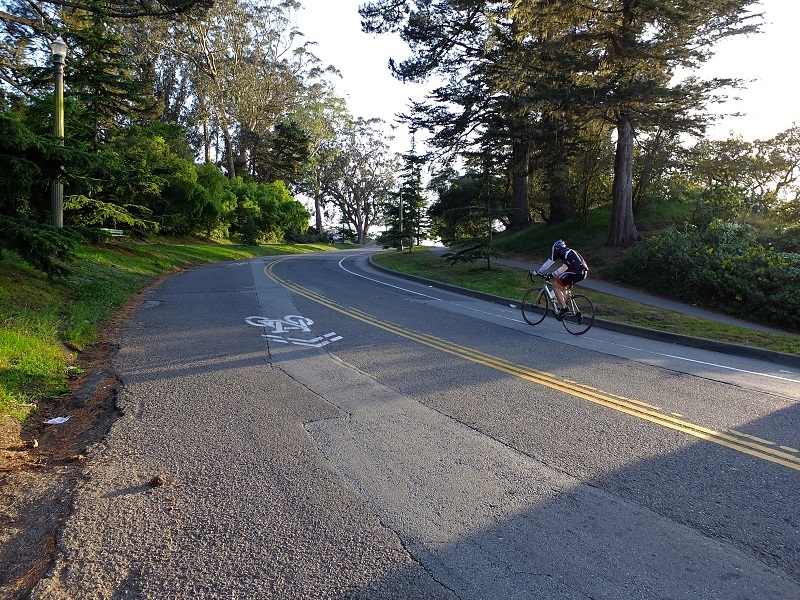 The Coaster Race, which is a part of the Butterlap, starts at Clement and 34th street, which is the start of a long descent around Point Lobos and down to Ocean Beach. The goal is to see how far you get with pure inertia. It’s not a time race, rather a distance race, which is pretty fun and completely optional! Bringing a jacket, gloves and some water is suggested since the ride is 18-miles long and the weather can vary as you pass through different areas of the city. 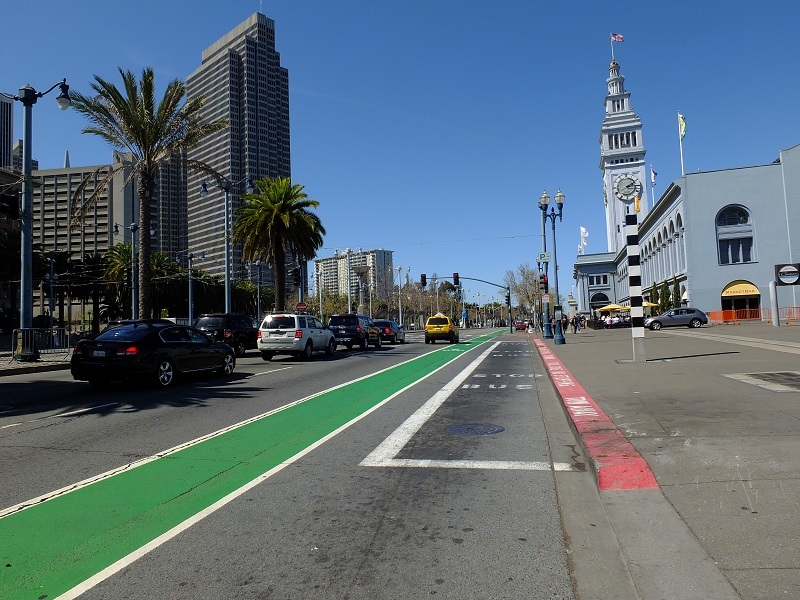 This ride is organized and supported by the San Francisco Bike Coalition and it starts every Wednesday at 7 pm. The group usually consists of 10-15 people who bike their way through the city together. There are plenty of stops to rest and enjoy the scenery and see some of the most famous attractions of San Francisco, like the Golden Gate Park, Panhandle Park, Ocean Beach, Land’s End and the Presidio Park. 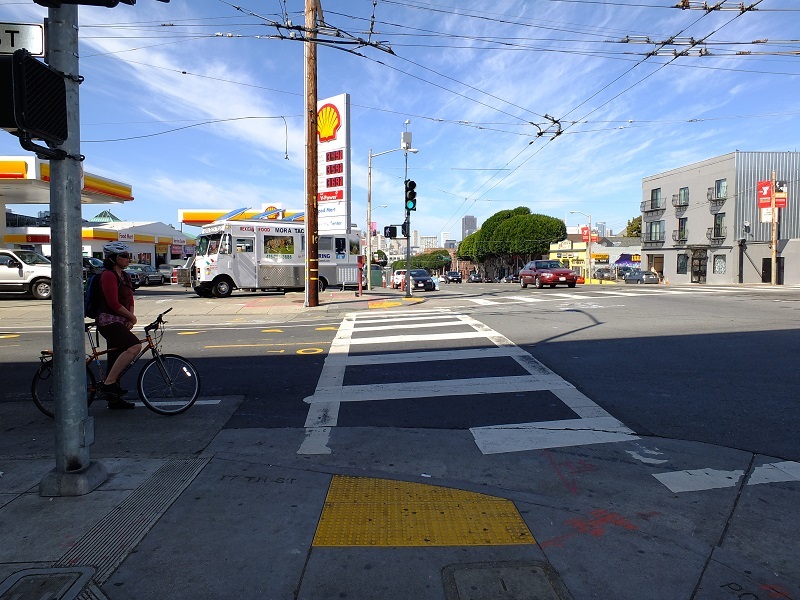 With such a variety of neighborhoods embodied into the route, the ride is absolutely gorgeous and you get a better feel for what the city has to offer.Starting from Potrero Avenue, the route continues south to the intersection with Cesar Chavez Street and Bay Shore Boulevard. Take Cesar Chavez Street and continue on Route 25. This will take you under the freeway to the Bay Shore Boulevard. Travelling down south, take Jerrold Avenue, Barneveld Avenue, Loomis Street and Industrial Street before you reconnect back to the Bay Shore Boulevard. Turn right into Bacon Street, which will lead you to the entrance of McLaren Park, where you can circle the park via John F Shelley Drive. 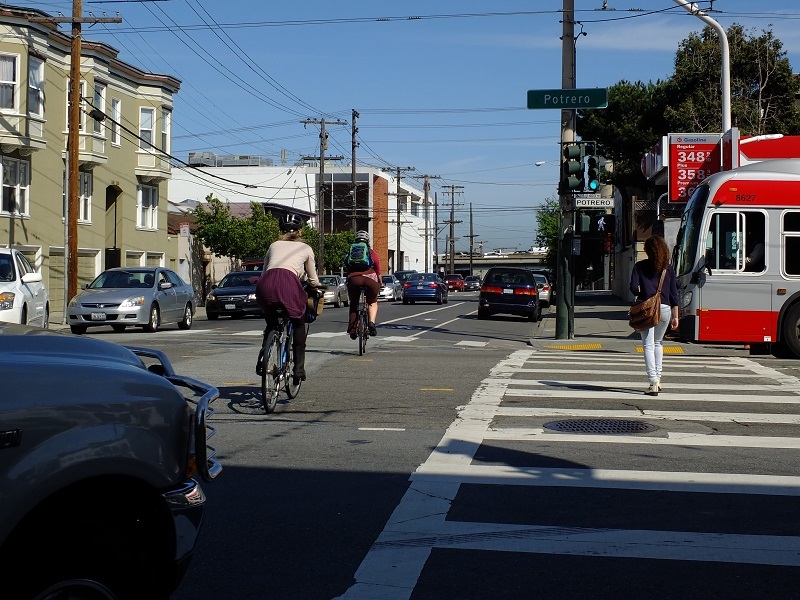 This 3.6-mile long ride will take you from the Mission District and Portola Hill, to Bernal Heights and Visitacion Valley. It’s a fairly flat ride, until you reach Bacon Street, which is where the ascent starts. 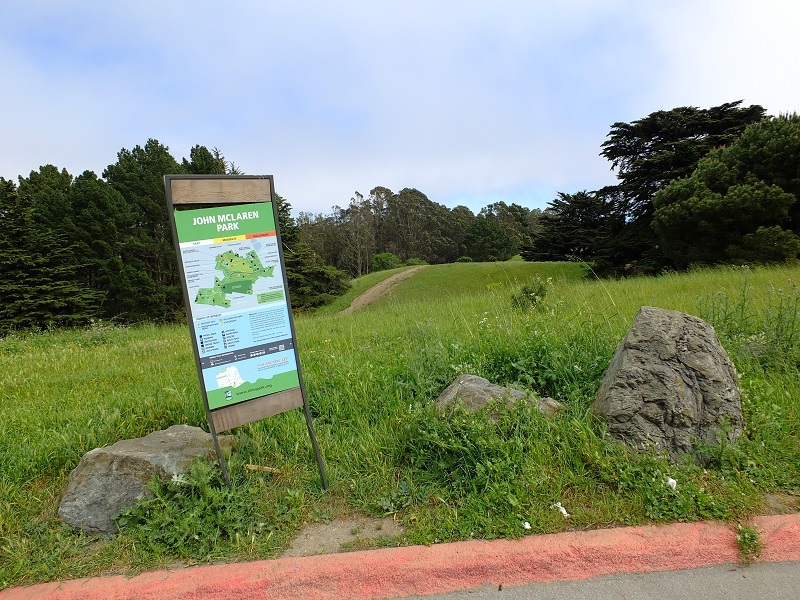 The weather conditions vary, and even though Portrero Hill might be sunny, it can be quite windy once you reach John McLaren Park. 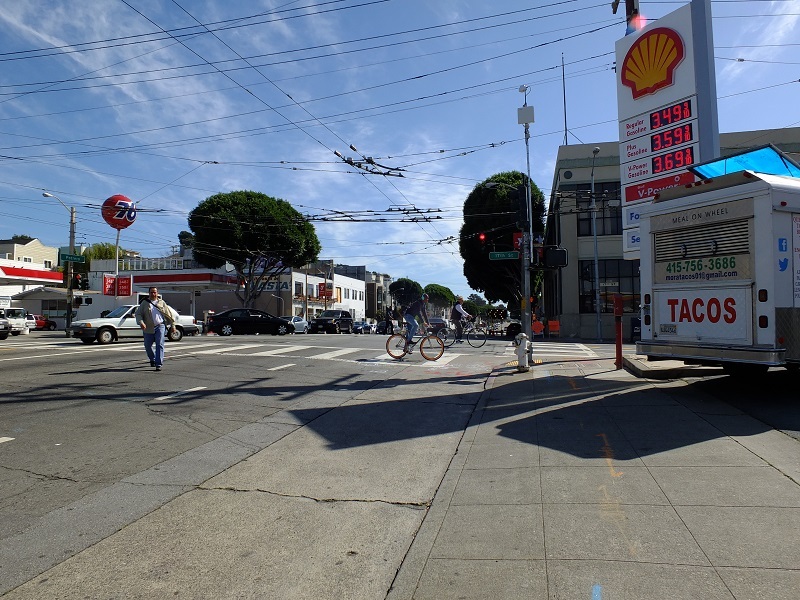 Potrero Avenue is the only direct bike route between the Mission District and southern parts of San Francisco, which are east of Valencia Street, and the cycling traffic is growing each day. 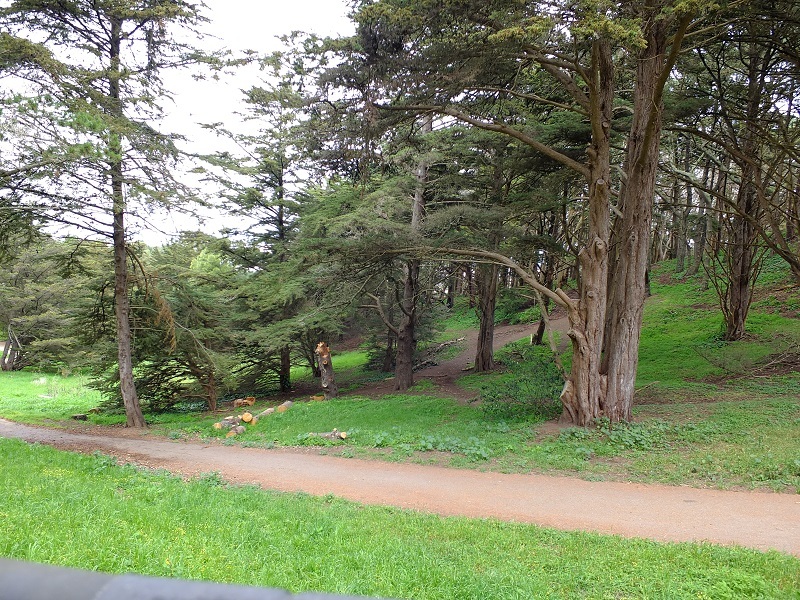 The John McLaren Park is the second largest park in San Francisco and represents a great relaxation area within city limits. Once you’re there, make sure to visit the Jerry Garcia Amphitheater or the Gleneagles Golf Course and McNab Lake. 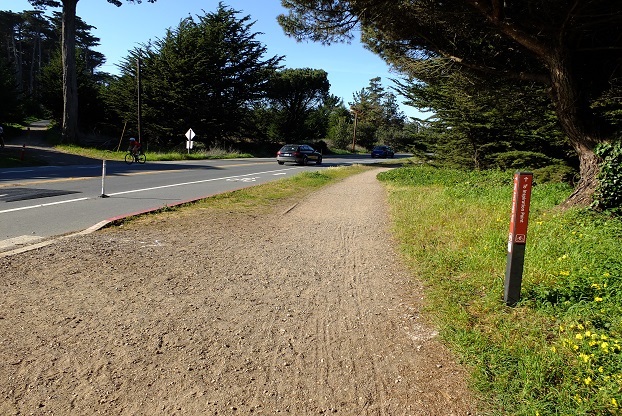 This trail has two possible entryways. Your off-road track can start from Bacon Street, where there’s an entrance into the park as well as a direct entrance to an off-road path. Another way to enter the park is from Geneva Ave, at the Crocker Amazon Skate Park. 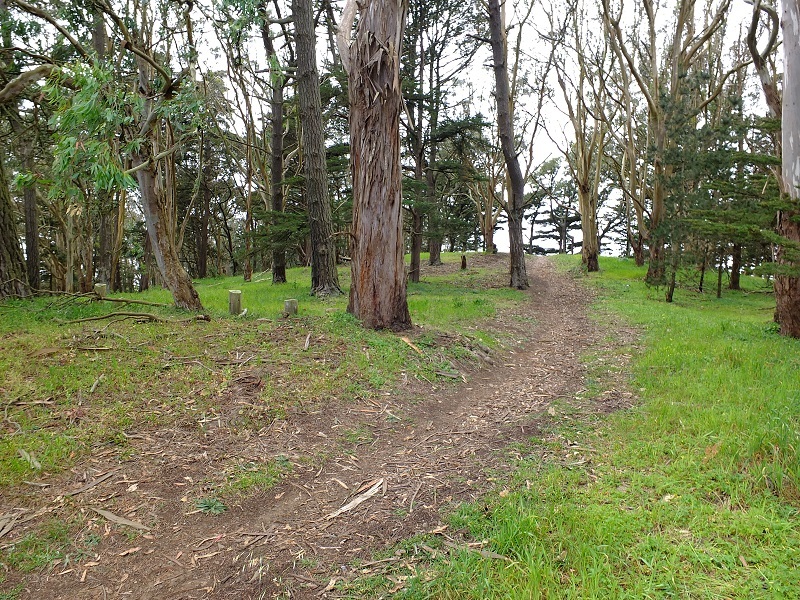 John McLaren Park offers cyclists hours of exploring of its grassy paths. This ride features various routes you can take through the park, so explore them and see where they take you. The elevation varies from 100 to 200 ft in the corners of the park, while the highest elevation point of 500 ft can be found near Mansell Street. Mansell Street divides the park into two sections. Sunnydale and Visitacion Avenues cross the southern section of the park, while John F. Shelley Drive crosses the northern section. The track itself is mostly grassy, but there are certain paved paths, that serve as connectors between tracks. Visitacion Valley is a neighborhood separated from the city center; nonetheless, it has a lot to show. 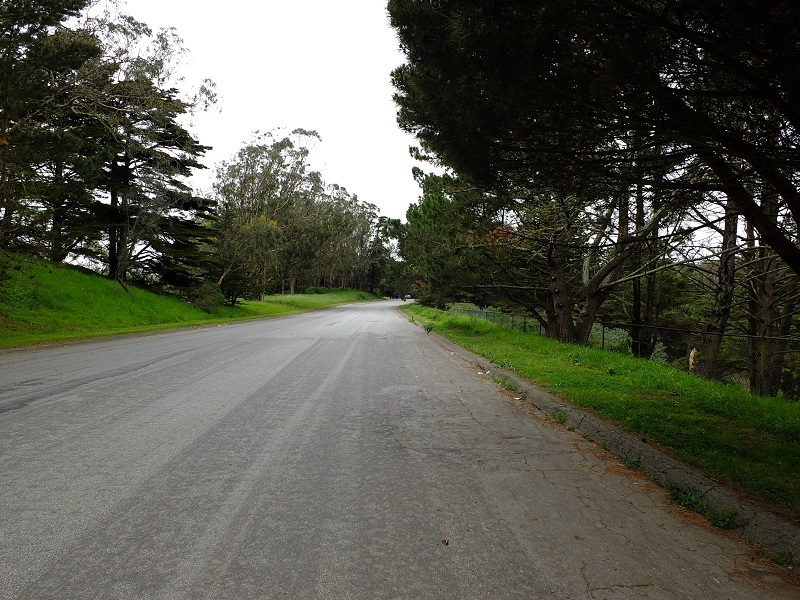 The neighborhood is pleasant, quiet and clean, full of beautiful well-kept buildings and houses, and the McLaren Park offers you great off-road action, fresh air and a chance to take in the gorgeous nature.